I have resided in HCMC Vietnam for 14 years. I know the country well having cycled the full length of it & many east west roads. My focus is Triathlon with a strong Cycling & Running focus. I lead training sessions, provide 1 - 1 lessons and offer plans with nutritional advice to local & international clients based within Vietnam & abroad. I can assist you achieve your planned finish whether it be a run, cycle, swim or combination of these. If you are visiting, I offer tours & camps. I founded The Endurance Academy in HCMC Vietnam. I focus on athletes of all abilities. My philosophy is the athlete must have a goal & desire to achieve it. I will motivate you and get you as fit as your time permits. I am a strong believer in base activities first. Building a strong base in your sport, coupled to functional strength is the launching pad to success. I am a registered professional engineer in Canada. This technical back ground equates to a strong focus on the details to ensure the client achieves their goals. Training Peaks software is the best platform to ensure this focus comes through on event day. I have been involved in endurance sports since 2009 as an amateur participant. I have been an avid reader of endurance books focused on triathlon, nutrition, cycling & swimming. 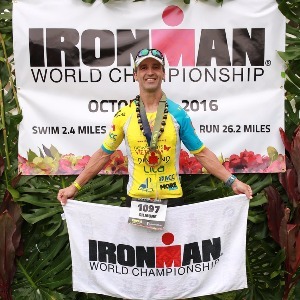 From this background in early 2016, I achieved my "Ironman Certified Coach" certificate. I am a Lila Exogen LVR Master Trainer. Go to www.movementrevolution.com to learn more on this revolutionary product. I have been to Kona in 2016 & 2017 & have secured my 2018 slot having qualified in heat of Langkawi Malaysia on all 3 occasions. I won my age group at the 2016 70.3 Asia Pacific Championships. In addition to these results, I have won 6 other events. I have completed 10 Ironman, numerous 70.3 & shorter events. My Personal best Ironman is 9:52:56 done at age 46 (age is not a barrier). I assist clients with tours, training, & nutrition services in Vietnam as well as those abroad. I will consider accepting all athletes after an initial consultation to get to know them. We will work together towards your goals. An initial consultation is needed to understand each other. Success. Coach Todd Gilmore has been notified of your message.